To claim this profile, please confirm you are Gabe Summey. To follow this profile, please let us know your relationship to Gabe Summey. Boys varsity lacrosse vs. Fort Mill. The Dorman varsity lacrosse team has a neutral playoff game vs. Fort Mill (SC) today. The Dorman varsity lacrosse team won Thursday's neutral playoff game against Riverside (Greer, SC) by a score of 19-11. Gabe's lacrosse stats have been updated for the win vs. Mauldin. The Dorman varsity lacrosse team won Tuesday's home playoff game against Mauldin (SC) by a score of 19-5. The Dorman varsity lacrosse team won Thursday's home conference game against Mauldin (SC) by a score of 21-8. Gabe's lacrosse stats have been updated for the win @ Spartanburg. RESULTWin Boys varsity lacrosse @ Spartanburg. The Dorman varsity lacrosse team won Wednesday's away conference game against rival school Spartanburg (SC) by a score of 19-11. Gabe had 6 photos tagged from the photo gallery "Byrnes @ Dorman." Gabe's lacrosse stats have been updated for the win @ Christ Church Episcopal. 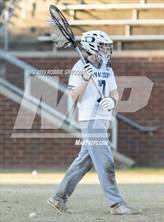 The Dorman varsity lacrosse team won Friday's away non-conference game against Christ Church Episcopal (Greenville, SC) by a score of 16-7. Gabe's lacrosse stats have been updated for the win vs. Byrnes. The Dorman varsity lacrosse team won Wednesday's home conference game against Byrnes (Duncan, SC) by a score of 18-6. Gabe's lacrosse stats have been updated for the win vs. Riverside. The Dorman varsity lacrosse team won Friday's home conference game against Riverside (Greer, SC) by a score of 15-6. Gabe's lacrosse stats have been updated for the win vs. T.L. Hanna. The Dorman varsity lacrosse team won Wednesday's home conference game against T.L. Hanna (Anderson, SC) by a score of 9-4. RESULTLoss Boys varsity lacrosse vs. Christ School. The Dorman varsity lacrosse team lost Tuesday's home non-conference game against Christ School (Arden, NC) by a score of 14-9. Gabe's lacrosse stats have been updated for the win vs. Dutch Fork.